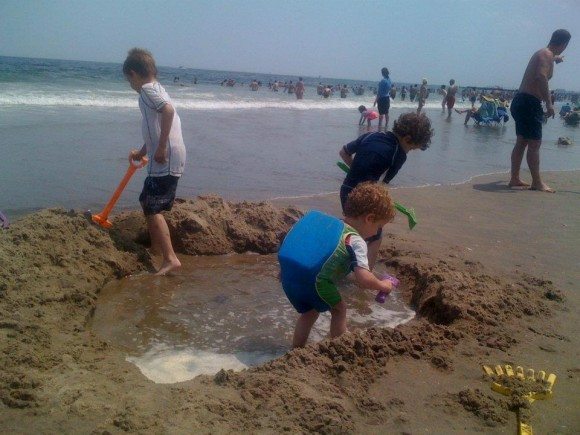 Posted on: July 2nd, 2016	by Jennifer A.
I love New Jersey and the Jersey Shore, but truth be told there’s something to be said for getting away and getting out of our natural habitats. We see things in a new light. We let life slow down. We make an effort to be more in the moment with our kids. Since I was a child, I dreamed of a tropical vacation. I would draw pictures of islands complete with palm trees and sunny beaches. The sky would be multiple shades of blue and my beach towel would be stretched out in the sand. Now, even as a grown up the islands call to me. And every time I see my kids have the best time on the beach, I know the time is coming for us to have a family tropical vacation. That’s why when I was recently invited to meet with a team from the Bahamas while they visited New Jersey, I was very curious. I had heard wonderful things about the Bahamas. I had imagined it to be a quite beautiful place. What I didn’t know is what could the Bahamas offer families. 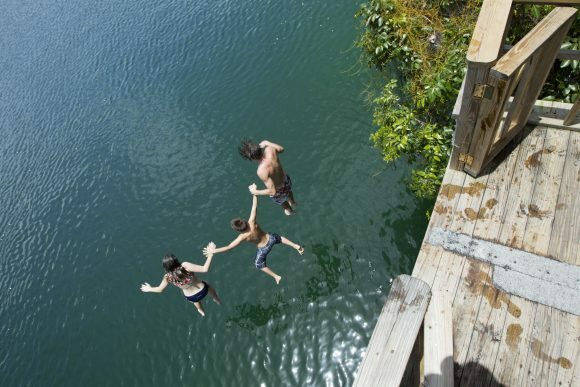 Would a Bahamas family vacation offer something everyone would enjoy? And how difficult is it for a New Jersey family to take a Bahamas family vacation? 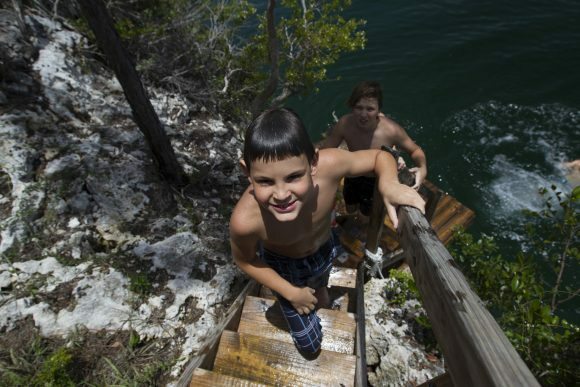 Now before you’re thinking… I can’t take the kids on a Bahamas family vacation, consider this. Vacation Express offers non-stop service from both Newark to the Bahamas, but also Philadelphia to the Bahamas. From July through the end of October, 4 night 5 day Bahamas family vacation packages are available starting at $599 that include airfare and accommodations. And if that doesn’t get you excited for a Bahamas family vacation then my ways to experience the Bahamas with the kids should. 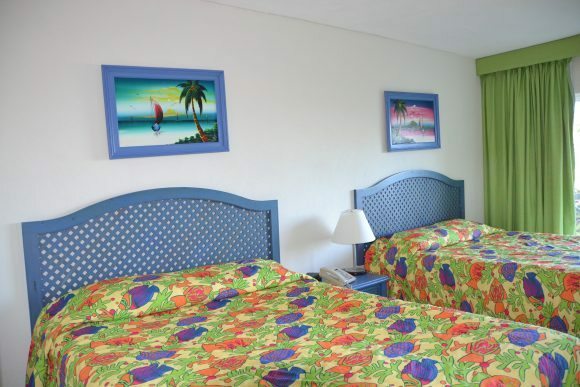 Start with Bahamas accommodations for families. 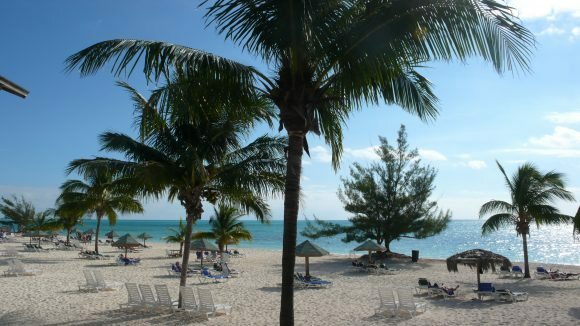 Both the Memories Grand Bahama and Viva Wyndham Fortuna Beach are praised as the best Bahamas hotels for families. With their all inclusive packages you can’t go wrong. If your kids are anything like mine, they are always hungry. With an all inclusive Bahamas family vacation, no matter how much your kids eat and eat, your food is included. You can’t go wrong experiencing your Bahamas family vacation at one of these locations, especially when you consider our next reason. 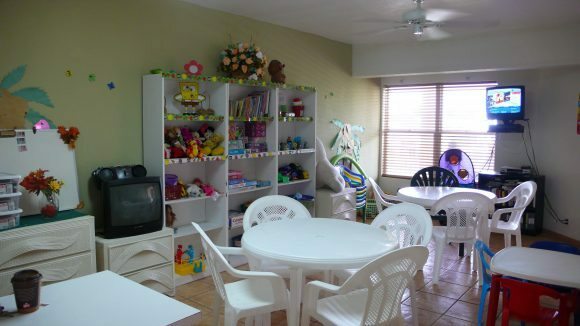 Take advantage of the above Bahamas resorts kids clubs for children ages 4-12. The Memories Grand Bahamas also offers a teens club for the 13-17 crowd. The kids clubs include activities like ping-pong, windsurfing, talent shows, characters, games, playground activities and more. Teens in their own club can experience video games, billiards, table tennis, water fun, and wi-fi enabled areas. 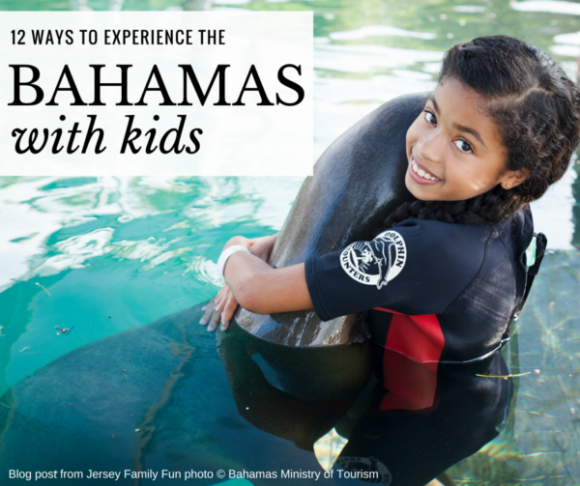 With the kids’ club parents can experience alone time and family time during their Bahamas family vacation. Swim, snorkel, scuba and be wowed. Grand Bahama is home to one of the world’s longest underwater cave systems. It is so elaborate it has caverns, caves, and submerged tunnels throughout the islands. The barrier reef is the world’s third longest barrier reef. You’ll likely run out of time and energy before you’ll run out of places to explore. 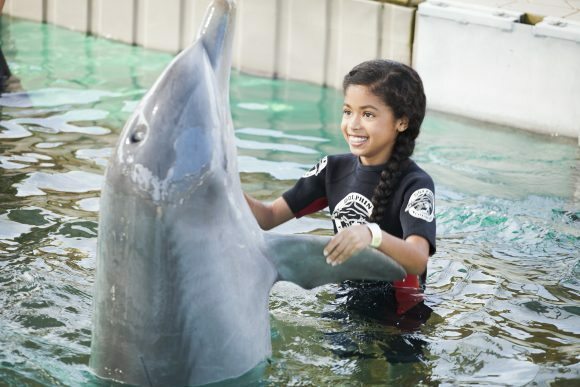 Get in the water for a dolphin experience. At the Unexso dolphin sanctuary, your Bahamas family vacation can include one of three dolphin activities: dolphin encounters, dolphin swims, and dolphin open ocean swims. Learn more at www.unexso.com. Make new friends at a playdate with local kids. 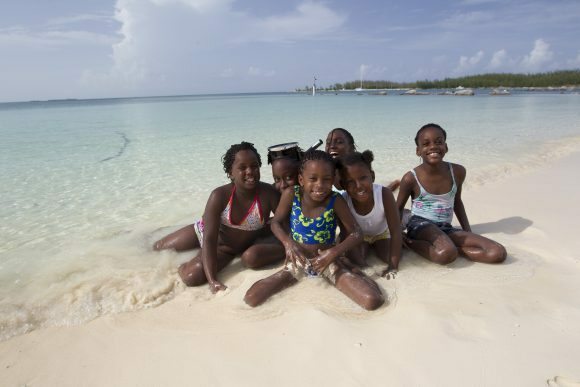 With the Bahamas’ People-to-People program your children can meet Bahamas children of the same age for a playdate that could result in lifelong friendships. 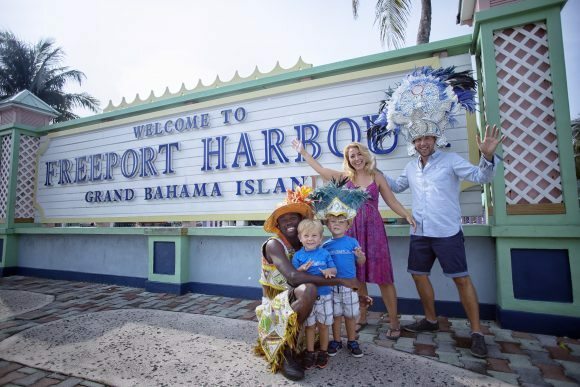 What a neat idea to experience the area and the culture during your Bahamas family vacation. 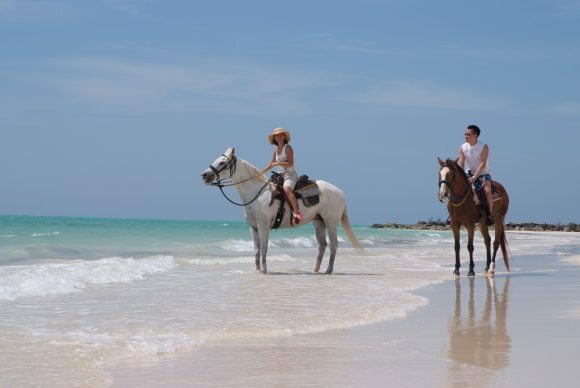 Ride horses through the forest, across the beach, and into the sea. Children 8 years and older and their families can experience a 2 hour guided horseback riding tour with Pinetree Stables. Walk on a beach like no other. The Gold Rock Beach in the Bahamas is the beach our new Bahamas friends boasted about. Take a walk through the pine forest. 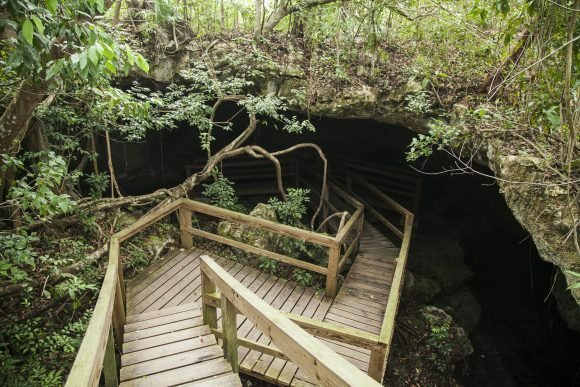 Make your way through the Lucayan caves. Discover new animals along the way and come out on Gold Rock Beach. The sand on the beach never gets hot. Kids can play and play or walk and walk and no one will burn their little toes or feet. This secluded beach is a must visit spot on your Bahamas family vacation. 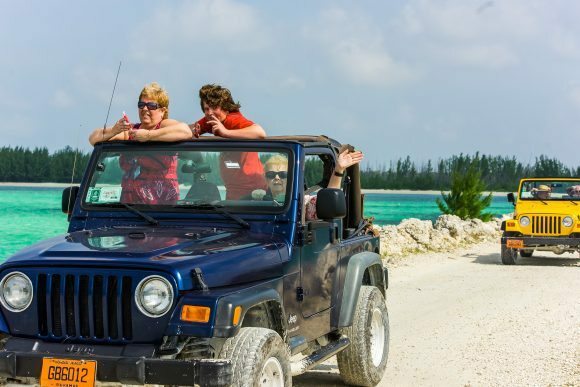 Go offroading with a nature tour in the Bahamas. Moms or dads can take the wheel of an open top jeep and head off on a safari adventure with the kids and an experienced island guide. During your tour, you’ll explore Lucayan National Park by foot or kayak enjoying the Bahamas’ ecosystems and lunch on the beach. Cast your hook out for some fun fishing experiences. It doesn’t matter whether your kids have never fished before or have quite the fishing experience, they can enjoy new fishing adventures on your Bahamas family vacation. 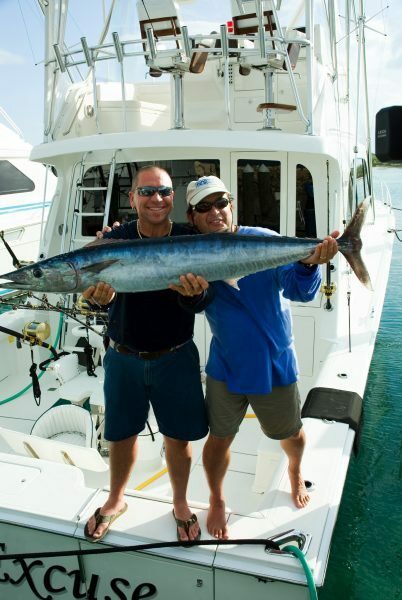 Bahamas offers a variety of fishing experiences. One of the most popular is bonefishing (fly fishing) that can be done in the Little Bahama Bank off the northern and eastern coasts of the Grand Bahama Island. Taste the culture. One of the best parts about visiting a new location is experiencing the location through their unique foods. 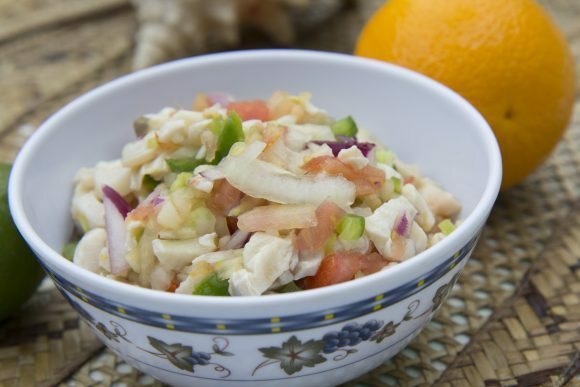 On your Bahamas family vacation you can dine on conch grilled or as part of a salad, and coconut in a multitude of ways from drinks, entrees, and desserts. Create your own perfume. 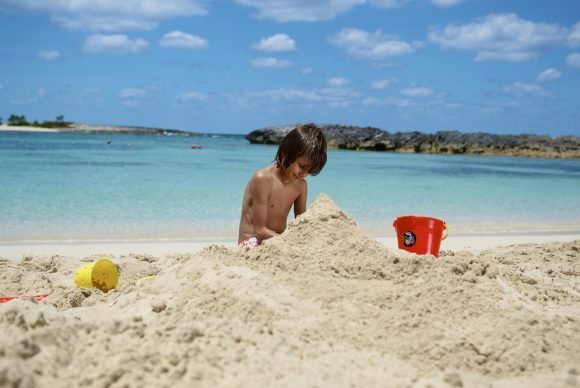 This Bahamas family vacation experience is perfect for a mom and daughter activity. 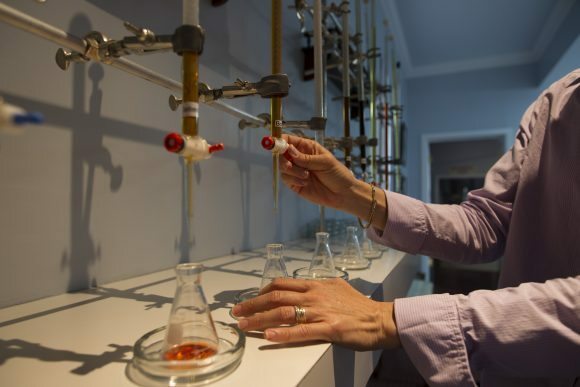 Go behind the scenes at the perfume factory to see how perfumes and lotions are made. At the end of your tour, your tweens, teens, and you create your own custom perfume or lotion mixed and bottled. You can even name it. How’s that for a unique souvenir? Your perfume recipe will be kept on file for reorders as well. Visit www.perfumefactory.com to learn more. Visit a festival. There’s always some kind of festival happening in the Bahamas. From the Annual Pelican Point Coconut Festival in March to the Junkanoo Summer Festival and Carnival happening all summer long, Bahamas festivals provide an upbeat way to experience a Bahamas family vacation. There is cultural entertainment, concerts, street parades, unique foods, and more. 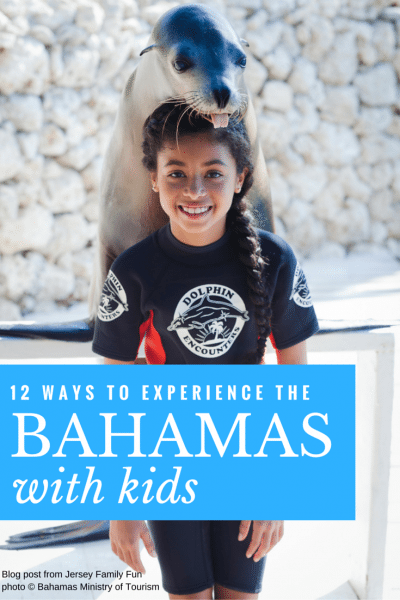 These ideas are just some of nearly 40 ways I learned families can experience a Bahamas family vacation. In fact with a Vacations Express package, the flight to the Bahamas is only a few hours long. As it was told to me, you can have breakfast at home before your flight and be in the Bahamas in time for lunch. Love that. I know I am ready for a Bahamas family vacation. Are you? Visit Vacation Express or Bahamas on the web for help in planning your Bahamas family vacation. Don’t forget to ‘pin’ this too so you can come back to our ideas again. For more family vacation ideas, click over to our family travel series. 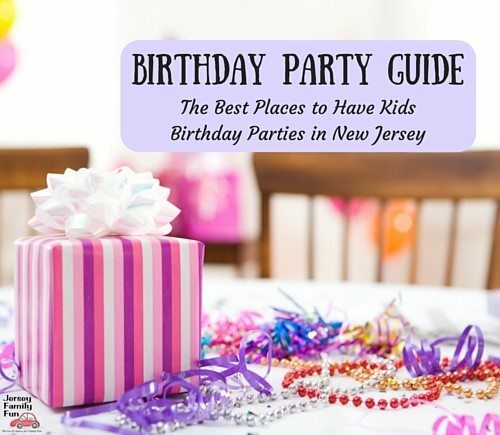 To arrange a feature on your location contact publisher, Jennifer Auer at jenniferauer@jerseyfamilyfun.com.